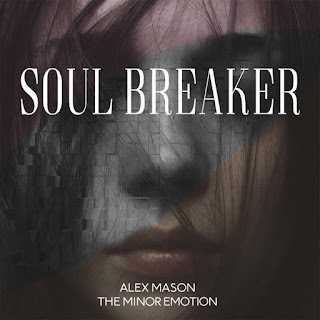 Comment: this 9-notch issue comes out from Russia, it is a collaborative issue between Alex Mason, and The Minor Emotion. Its formula is simple – lone, minor piano tapped chords being accompanied by soaring synthesised orchestrated progressions which at times are being bent into murky, neoclassical sadness. Emotionally it is hard to measure the impact of the whole upon the listener. Undoubtedly it is epic but on the other side it might be a bit anemic to feed one's the most profound, transcendental ideas. If you need more vivid colours to be inserted into your every day's life then you have to listen to it while watching outside from the window or just walking in the middle of autumnal beauty and decay. Indeed, maybe concrete sounds and sonic effects could add a more organic touch to the whole. The result is a bit flat out in its sheared and predictable dynamics and two dimensional shift. The outing is a part of the discography of Enoughrecords.